The nine-screen 'Monster Wall' (see photo) is in one of the Canada Line's busiest stations, located at the downtown Vancouver corner of Granville Street and West Georgia Street. The station sees more than 750,000 passengers board its trains each month. The video wall is equipped with a number of interactive technologies to enhance out-of-home (OOH) advertising campaigns. "Using motion recognition, touch control and mobile-device communication capabilities, the Monster Wall will be sure to capture and hold the attention of daily commuters," says Dan Maure, Vancouver-based general sales manager for Lamar Transit Advertising. 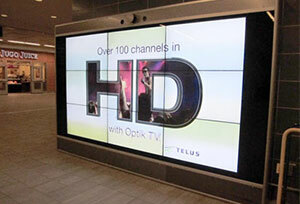 The first advertiser to launch a campaign on the multi-screen array is Telus, a national telecommunications provider. Lamar plans to roll out more interactive Monster Wall units in other Vancouver rapid-transit (RT) stations over the next 12 to 18 months. 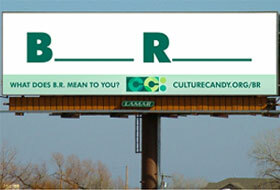 The original article appeared on Sign Media Canada's website.